Bafang BBSHD 1500 watts Very latest Kit with Colour Display, DPC18 and Gear Sensor + 52v 17.5Ah Shark Battery UK Stock. We love the Bling ring but at nearly £100 it just seemed like a crazily expensive item. 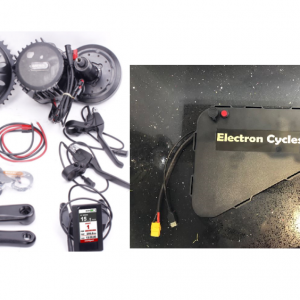 So we contacted our motor supplier, who is one of the biggest in the electric bike world. 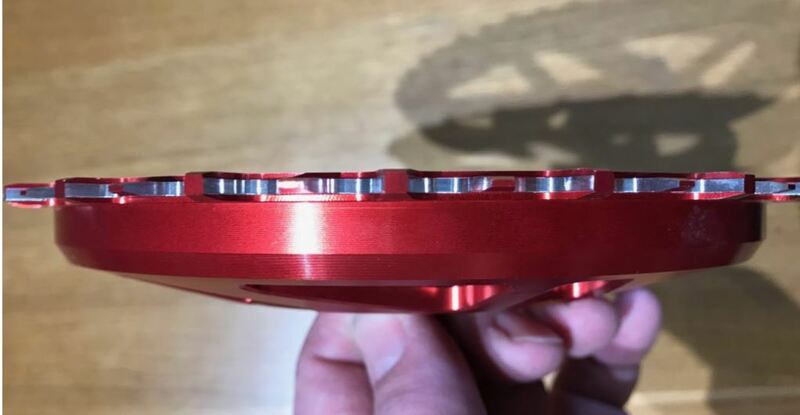 They told us that they can get the same chain wheel, made in the same factory but without the brand name (its copy righted) for a lot less money. We bought and sold the original chain wheel, and at trade price to us, it cost more than our sale price – crazy!!! This does make sense to use, as different sellers have different marks ups, different costs. We already know (and so do you from our prices) that we keep our mark-up lower than other UK sellers. We are really efficient in the way we: store, distribute and advertise/sell our stock. So often our prices are lower. We sell a lot of items and in 2017 were told by Ebay that we hit the top 10% of leisure sales for June, July and August. Im guessing because we are: UK stock, cheaper and not greedy. We have compared these chain wheels side by side to lekkie, and honestly cannot tell the difference. 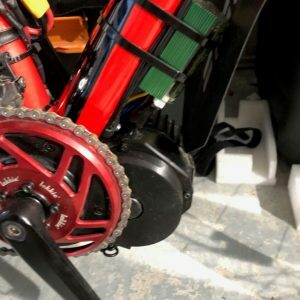 My own personal “Hot Rodded” BBSHD running 72V 50Amps (much higher and more stressful than a standard motor) has used one of these chain wheels for over 2000 miles without chain wheel issues –so you work it out? If you need a chain wheel but would rather pay £65 pounds instead of £100, buy ours! Narrow wide tooth pattern (designed to keep the chain on the wheel and stop chain derailment. Thickening of the teeth increases durability also. This is the smallest chain wheel that can “Clam Shell” the motor and bring the chain line back inwards towards the frame allowing better chain line. Only fits BBSHD and not BBS01 or BBS02.